As the globalization of the produce industry increases the complexity of industry issues, Washington DC-based Village Capital ran a Food and Agricultural program late last year to identify and support start-ups with ideas on how to solve some of these issues. 12 companies were selected to participate in the program, with two eventually receiving investment funding and other assistance. This is the fifth time the group has run this program. "Village Capital, in collaboration with QBE, Campbell Soup Company, and UBS, ran a three-month investment-readiness program that featured 12 early-stage food and agriculture startups from across the United States," explained Matt Zieger, Head of US Ventures at Village Capital. "The program was designed to train and invest in food and agriculture startups that are expanding access sustainable, healthy and accessible agricultural goods to drive a better food and agriculture system." 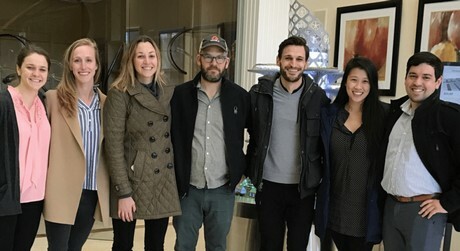 A company with a recently launched innovation that is designed to prevent food waste participated in Village Capital’s program. It is an edible coating derived from silk that can be applied on any commodity to decrease the rate of oxidation and ripening, thus preventing decay and lengthening shelf life. The coating was developed by Cambridge Crops based in Massachusetts. While not a direct recipient of Village Capital's investment, the company said the program helped Cambridge Crops to further their idea. "A core piece of the program is Village Capital’s VIRAL Pathway, which helps entrepreneurs and investors use the same language at the top of the funnel," Zieger shared. "VIRAL helps entrepreneurs become self aware and articulate just how ready they are for investment. It allows investors to communication the point at which they want to invest. We’ve found it a helpful lingua franca to kick off — and sustain — entrepreneur-investor conversations." He added, "Village Capital selected Cambridge Crops to participate for a variety of different reasons such as the competitive angle Cambridge Crops was taking in food waste and food preservation. Additionally, they were disruptive and had a high-value proposition for producers across the supply chain." Cambridge Crops says the edible coating will benefit shippers and retailers alike and is highly relevant given the amount of produce that is being moved globally. It also added that the material will have a positive impact for the supply chain in areas where there is minimal or undeveloped cold chain infrastructure. "Our edible biomaterial coating can be used on everything from avocados and lettuce to fish and meat," said Cambridge Crops CEO Adam Behrens (pictured). "There are value propositions all up and down the supply chain. We can offer improvements to current logistics and reduction of losses during transport or reduce waste at the retail level." While still in the testing phase, Cambridge Crops is hoping to have it commercially available from next year. "We are pushing forward with our safety testing and regulatory approvals," Behrens shared. "Our current timelines have commercial availability starting in early 2020. We want to change the supply chain in a big way. There are a ton of inefficiencies leading to large economic, social, and environmental consequences. Developing a pervasive tool to help remedy the food waste problem will make a substantial impact."